The Marathon Run Start, Marathon, 2015. The Athens Classic Marathon, Greece’s major sports event that follows the original course from the Marathon to Athens’ Panathenaic Stadium, where the first modern Olympics were held, took place for the 36th consecutive time on November 11th, 2018 and has its origins traced back to antiquity when, in 490 AD, the ancient Greek messenger Pheidippides ran from Marathon to Athens to announce the Greeks’ victory over the Persians at the legendary Battle of Marathon. This year’s race also marks 122 years from when the first contemporary Marathon race was held at the 1896 Athens Olympics. The historic and prestigious 42 km Athens Marathon Race was held in parallel to a 42 km Marathon Power Walking Race (both on the original Marathon course) as well as a 10 km Road Race, two 5 km Road Races (morning and evening one), a 3 km Road Race, a 1.2 km Special Olympics Road Race and a 1.2 km Kids Race. 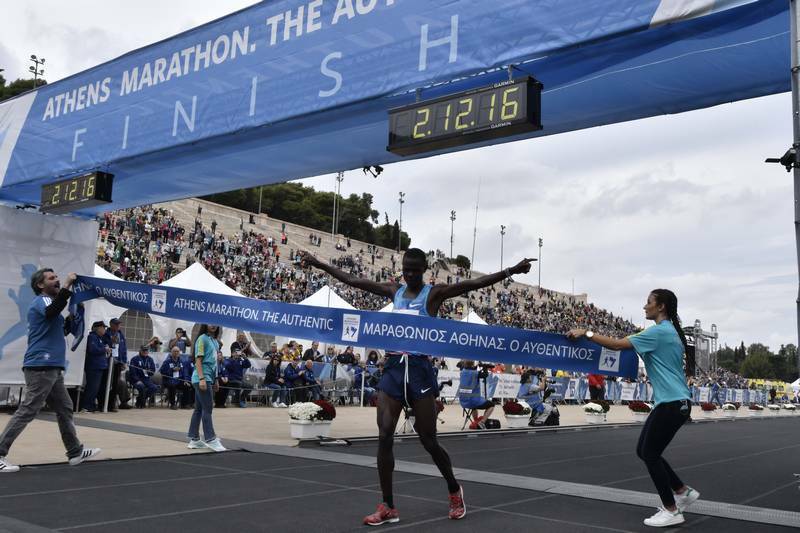 Moreover, according to the organizers between all races the record number of some 55.000 runners, including some of the top long distance runners from 105 countries in the world, filled the streets of Athens participated in this great celebration of sports and culture. The winner of the first place was Kenyan Brimin Misoi. Congratulations to all who participated either as runners or as support volunteers. The Opening Ceremony & the Marathon Flame Lighting Ceremony took place a day earlier at the Marathon Tomb. In addition to the competitive part of the event, Athens also hosted a grand AIMS (Association of International Marathons and Distance Races) Awards Reception in honor of the best marathon runners in the world. All races finished inside Athens’s iconic, marble built Panathenaic Stadium (also known as Kallimarmaro). 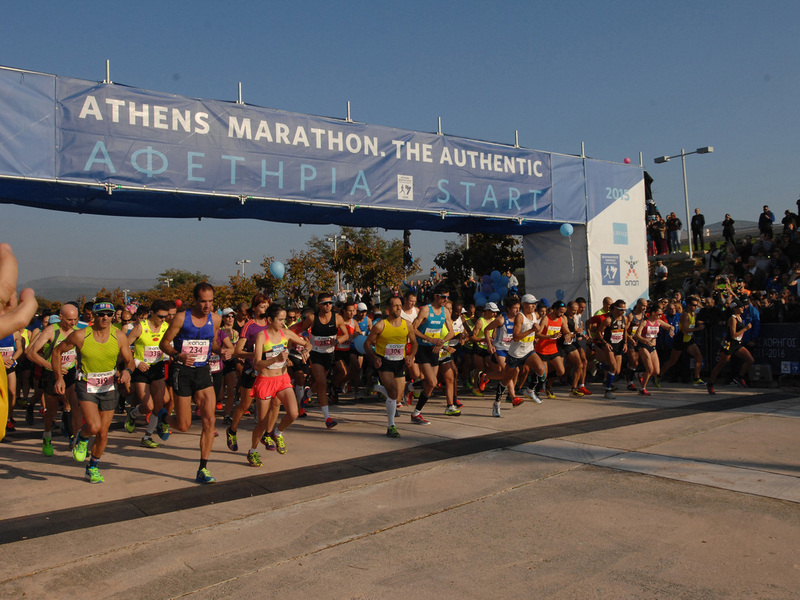 “Athens Marathon, the Authentic” is organized by SEGAS, the Hellenic Athletics Federation, with the support of the Greek National Tourism Organisation (GNTO). Running the Authentic Marathon Run, in front of the "Runner" by the Greek artist Kostas Varotsos. Several parallel events are being held on the days prior to the Athens Marathon, the most important among them being the Marathon Expo and the Marathon Flame Ceremony in the archaeological site of the Marathon Tomb. Furthermore, in cooperation with AIMS, SEGAS has organised the AIMS Marathon Symposium and the Best Marathon Runner Gala, during which the Best Marathon Runner of the Year (male and female) is pronounced. The 2018 Authentic Athens Marathon Finish Line. Photos courtesy of the Press Office of SEGAS. 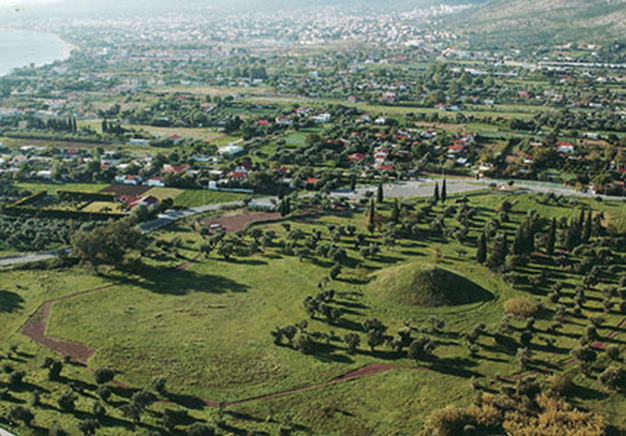 ​Well worth a visit is Marathon, with a significant archaeological area and museum. Marathon is one of the most beautiful locations in Attica. 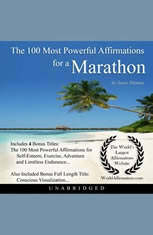 The journey to Marathon is a very pleasant one. On your way you will pass by fields, vineyards, olive groves, wild vegetation, as well as man-made Lake Marathon with its impressive dam with marble coating, built in 1929. The main source of information regarding the battle of Marathon is the ancient historian Herodotus. According to him, the Persian fleet disembarked 100,000 troops in Marathon in 490 BC. Facing this immense army were just 11,000 Greek troops (10,000 were from Athens and 1,000 from Plataiai). The Greeks, thanks to the military genius of Miltiades, won the battle. Following the victory, Feidippidis, an Athenian soldier, was sent to bring the good news to the city. He ran all the way from the field of the battle to the Athens Agora. He said one word: Nenikikamen (we have won), collapsed and passed away. In memory of the event, the modern Marathon covers the distance Feidippidis ran, and is symbolized in the opening ceremony of the Olympic Games. The Marathon Tomb and surrounding area. The Marathon Tomb, as seen by Edward Dodwell in the early 1800s. 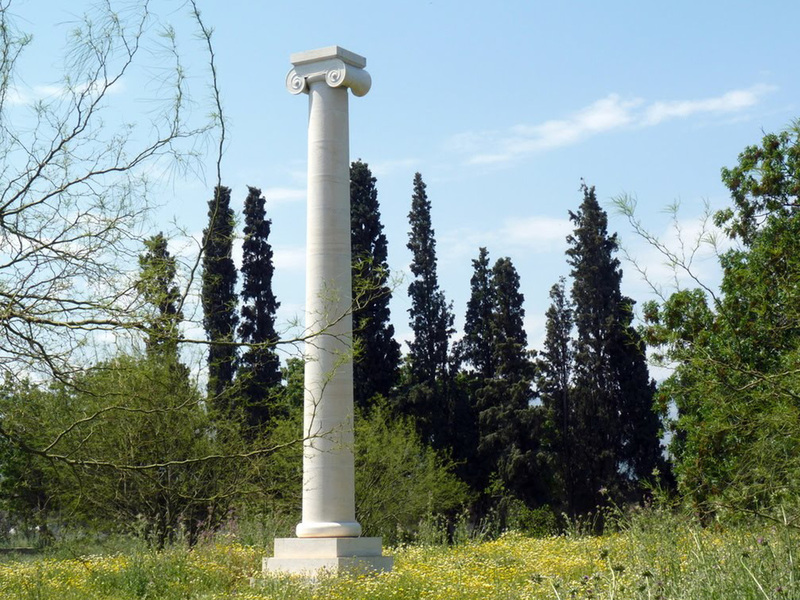 Adjacent to the ancient battle field, at a distance of 1 km from Marathon’s beach, you will find a unique monument (Tomb), 9 m. tall and 50 m. in diameter, of the 192 Athenian soldiers who were killed in this famous battle. Nearby (at Messosporitissa), the replica of the tropaion (trophy) erected by the Athenians following the victorious battle is found (fragments of the original are displayed at the Archaeological Museum of Marathon). The archaeological site at Marathon. occupies an area of about 60 acres and is one of the most important wetlands in Attica due to its abundance of local species. It is an artificial lake, created in 1931, with the construction of the Marathon dam, and up until 1959 it was the main water supply reservoir for Athens. As we were growing up, part of the daily News on the radio and all newspapers was the level, thus the water deposit of the Lake, signifying whether Athens was facing a water shortage or not! The museum is small. It houses exhibits from nearby towns, as well as other periods and locations. Important finds of the Neolithic Age, such as the finds discovered at the Cave of Pan in Oinoi, and a collection of columns, thought to have been built in the 2nd century BC, bas-relief portraits and inscriptions from the Epavlis (mansion) of Herodes Atticus (2nd century A.D.) found close by, are also on display. Also exhibited are findings from the Early Helladic (3000-2300 B.C.) cemetery found at Tsepi location, the Egyptian sanctuary of the goddess Isis (2nd century A.D.) and the Roman Valaneion (circular bath, 2nd-4th Century A.D.) found at Brexiza. Next to the museum, in a sheltered area there is a Mid-Hellenic cemetery (2000-1300 B.C.) and in proximity there is Tymbos ton Plataieon (tomb of the soldiers from Plataiai) which includes 11 graves of warriors from Plataiai who fell in the battlefield. Take this 4-hour shore excursion to Marathon from Athens. With a private driver-guide, visit the Marathon Tomb and hear about the soldiers who fell at the Battle of Marathon. Hear of the legend of Feidippidis, the soldier who ran the world’s first marathon distance, and see where the race originated from. 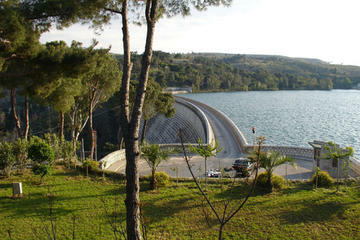 Take in the verdant natural beauty of Lake Marathon and the Marathon Dam, the world’s only dam made of marble! Enjoy the area's best sights and the personalized attention from your guide on this private tour.